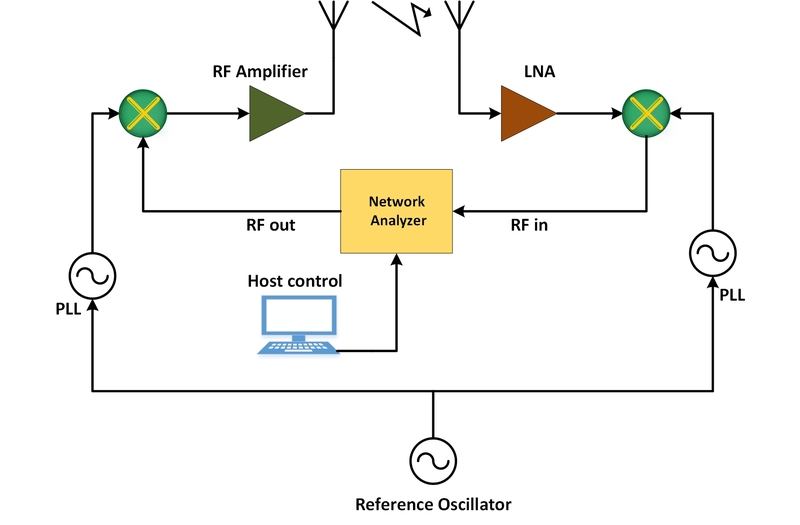 Nowadays, Channel modelling and real measurements are indispensable for wireless system design. It is the wireless channel that determines the ultimate performance limits of any communication system. Channel frequency selectivity, Multi-path delays and other factors affect the channel capability to support high and broad-band data rates. Spectratronix provides a versatile RF channel sounder based on its C700 modular platform which brings about several channel sounding methods required by todays researchers. The measurements can be done comprising transmission and reception in one chassis, or to use two chassis (one for TX and one for RX) according to the measurement scenario and requirements. In figure 1 below, a solution based on separated TX and RX is shown. In the following figures, two of the common methods that can be defined in Spectratronix channel sounder are shown. SpectraTronix is the Electronic Measurement & Radio Development arm of Consultix Inc.